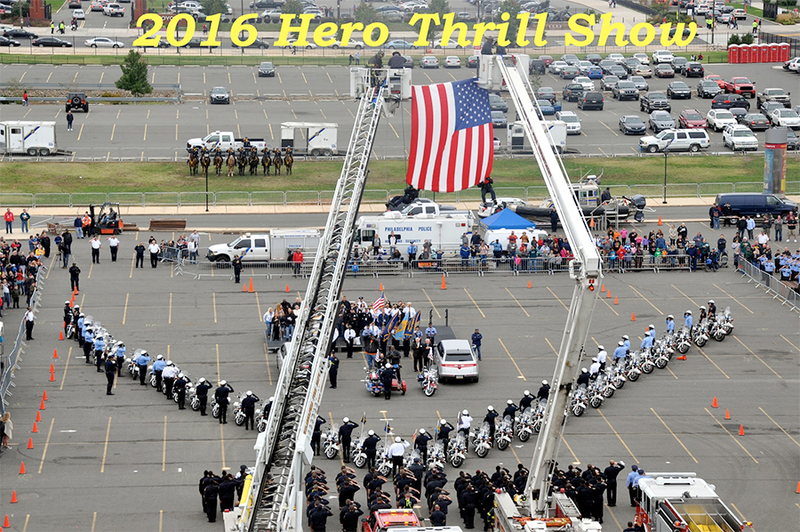 Entering the performance area of the Hero Thrill Show® on October 1, 2016 at the Wells Fargo Center. 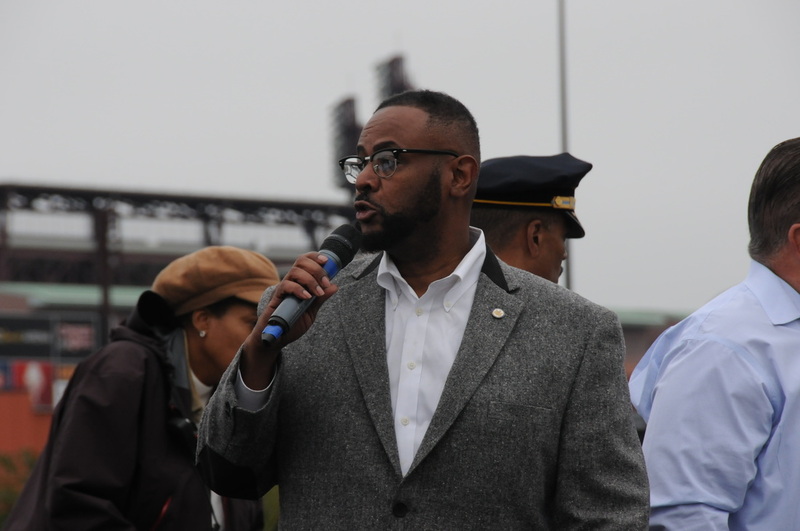 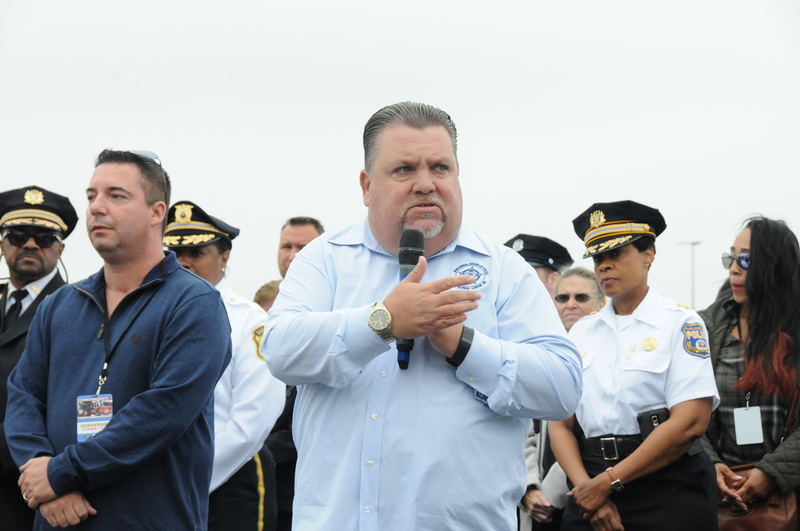 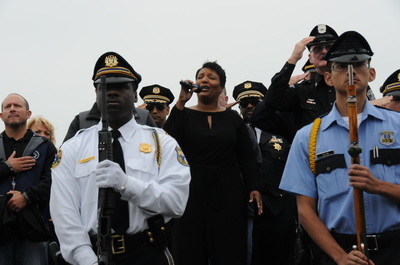 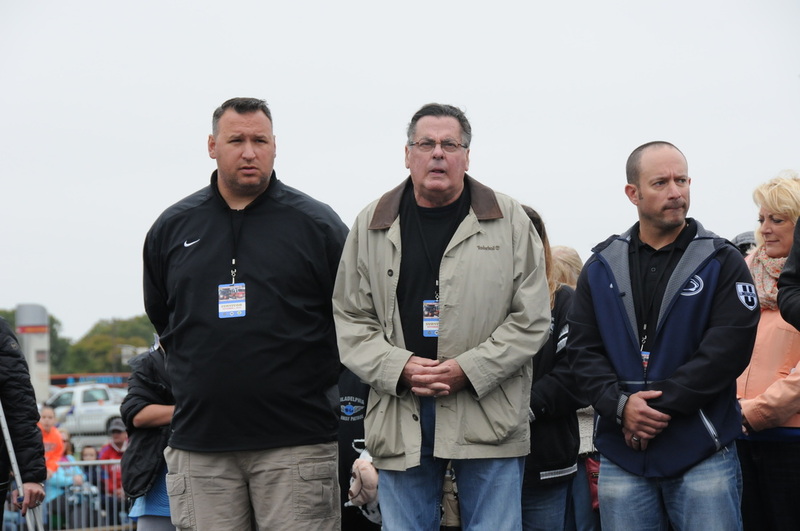 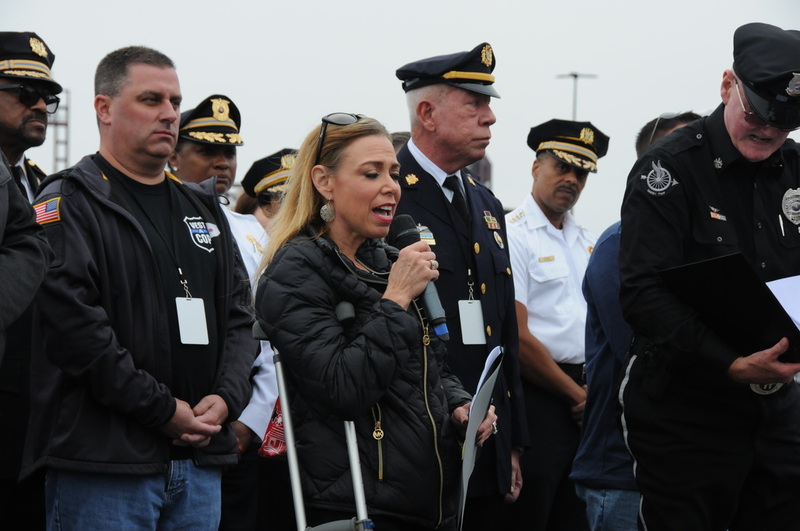 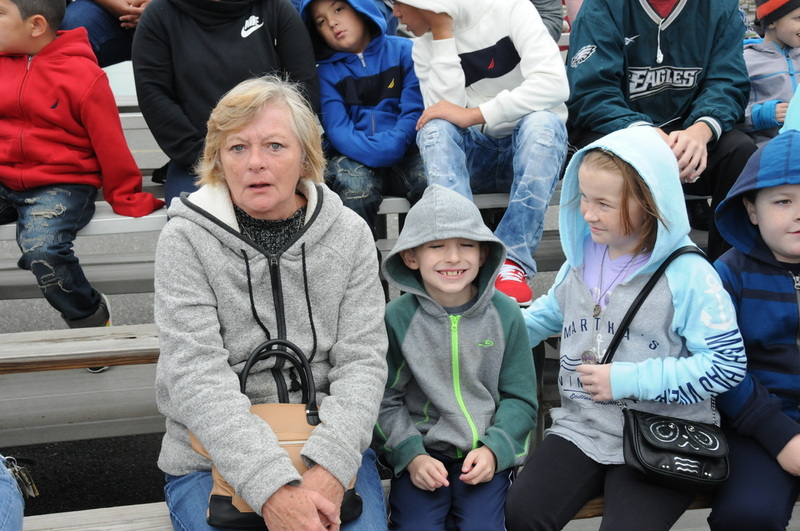 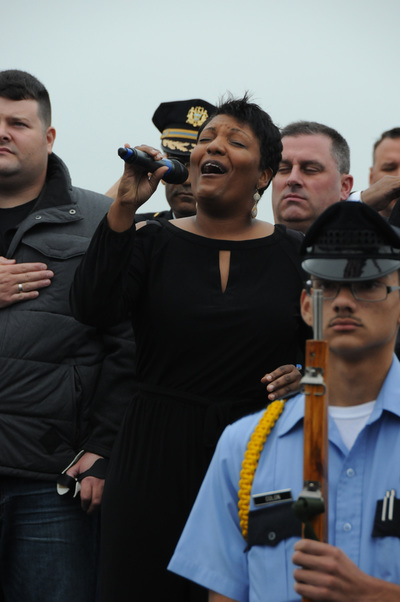 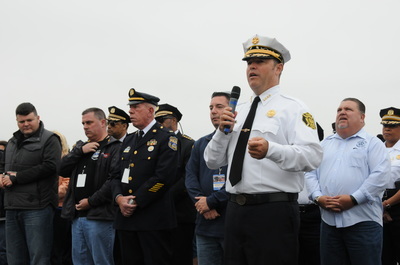 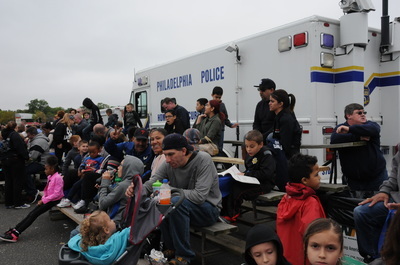 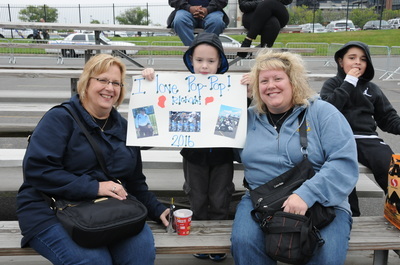 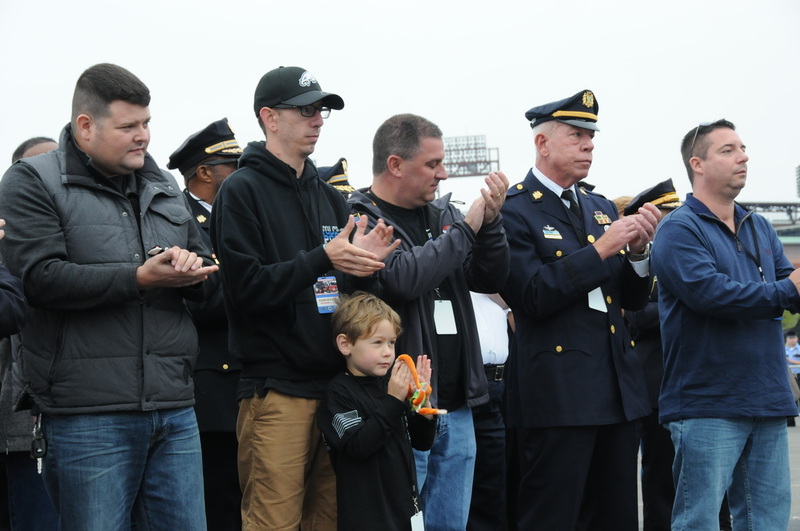 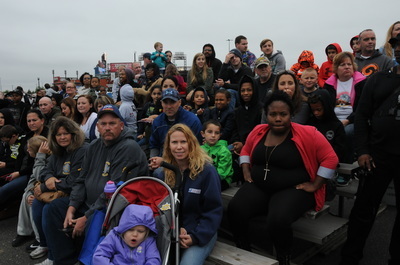 We were blessed with rain free weather and an overwhelming crowd who came out to support the families of Philadelphia Police Officers and Firefighters who lost their lives in the line of duty. 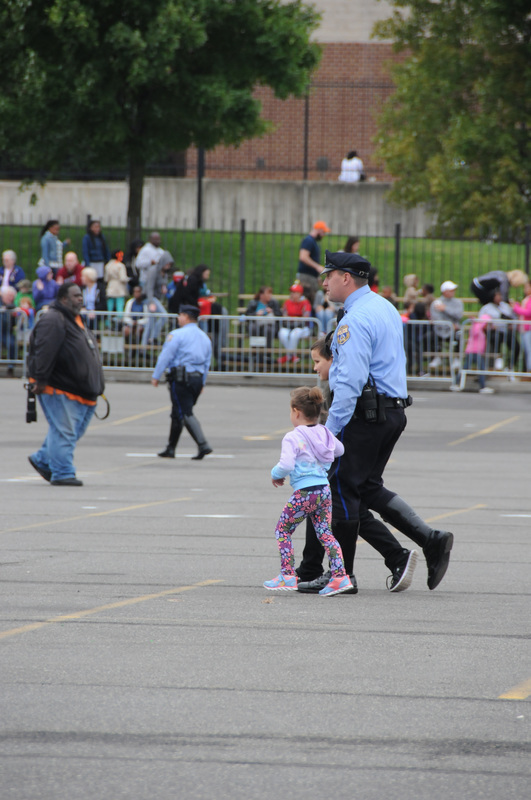 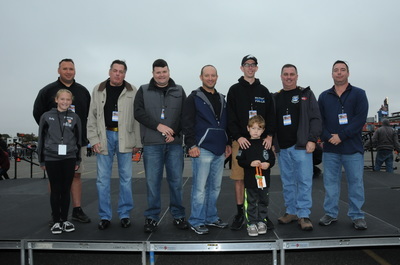 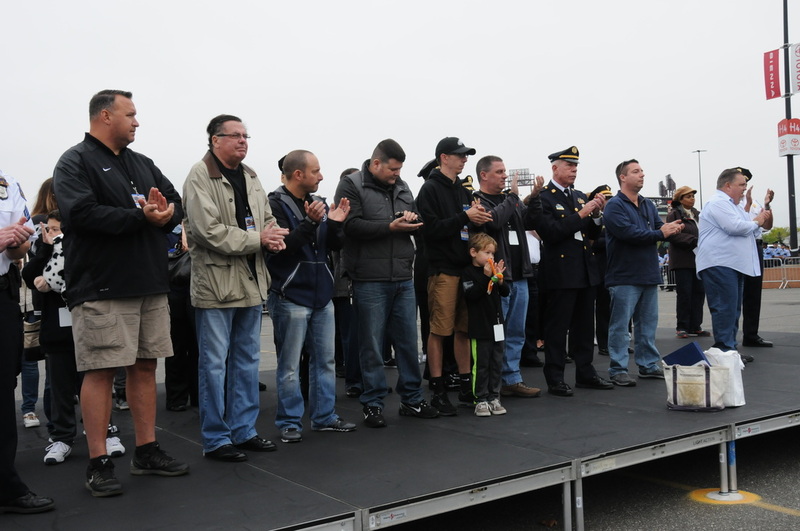 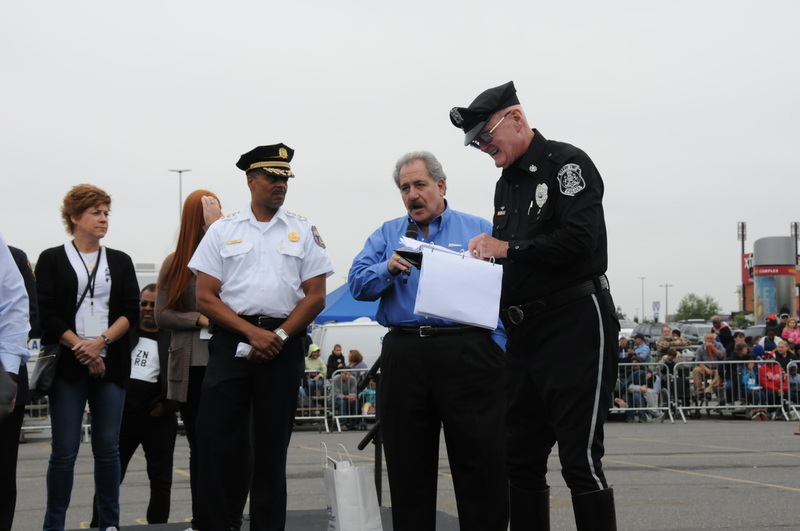 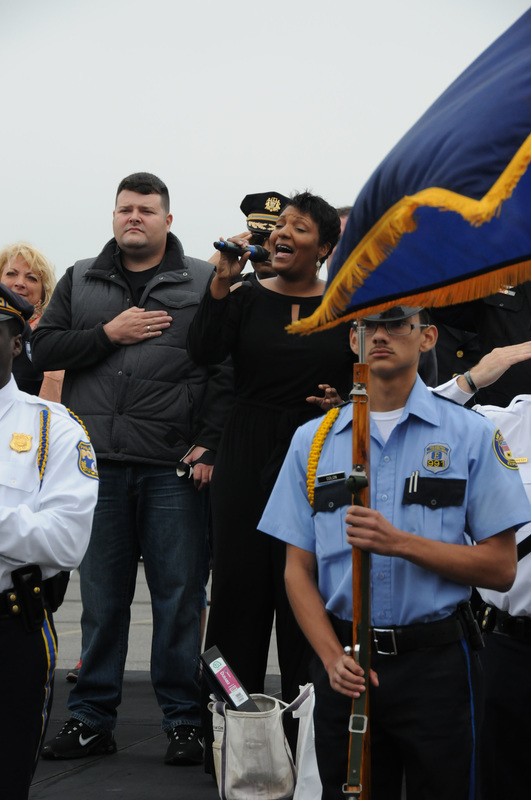 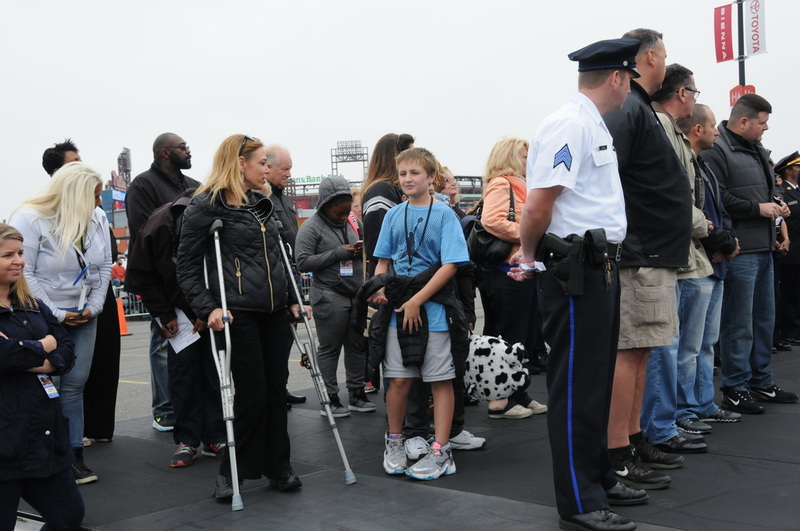 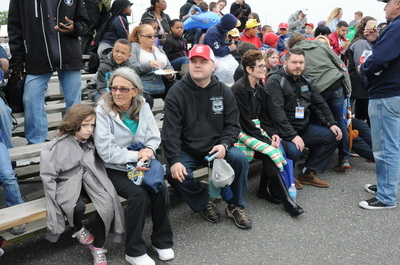 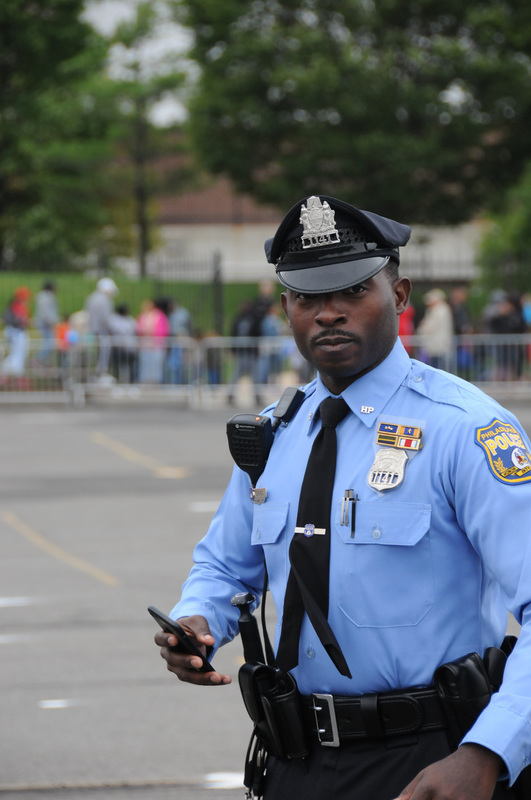 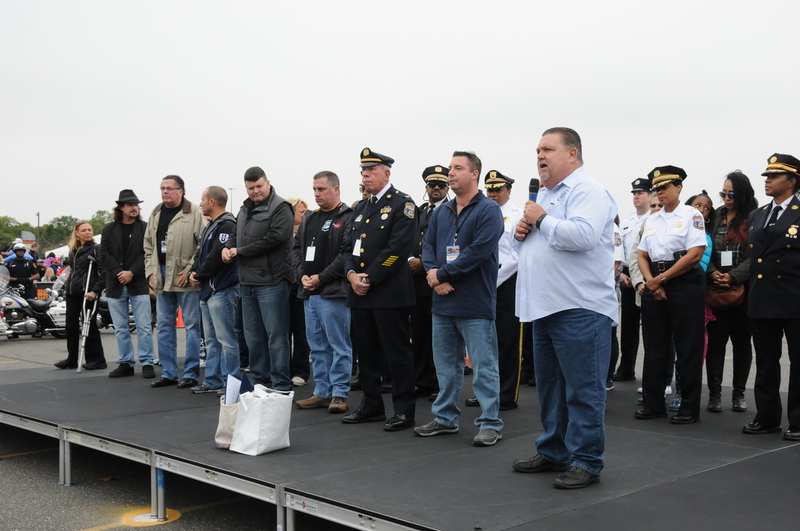 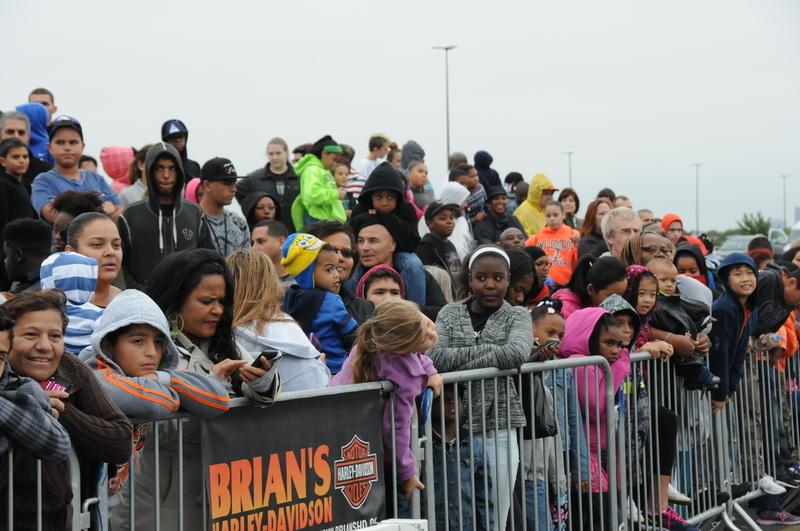 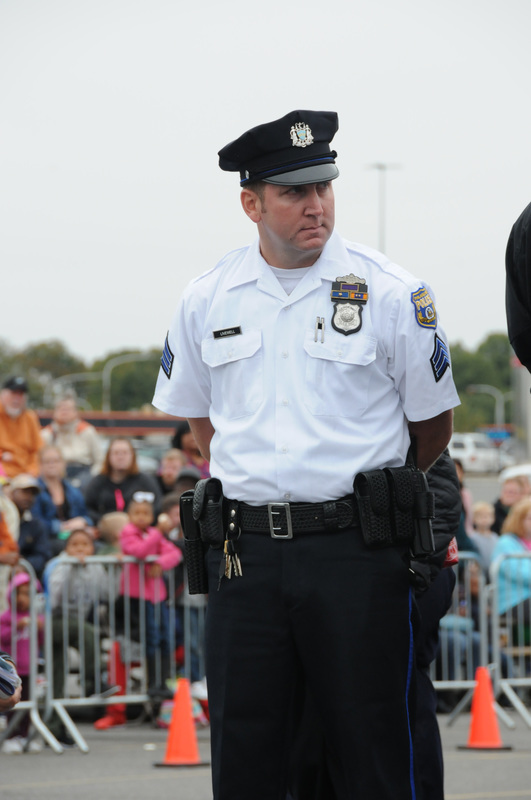 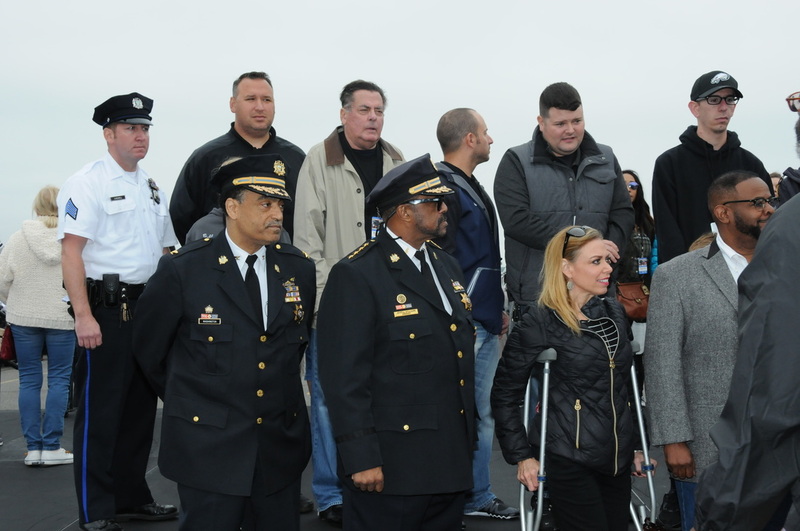 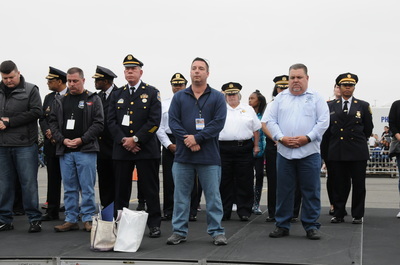 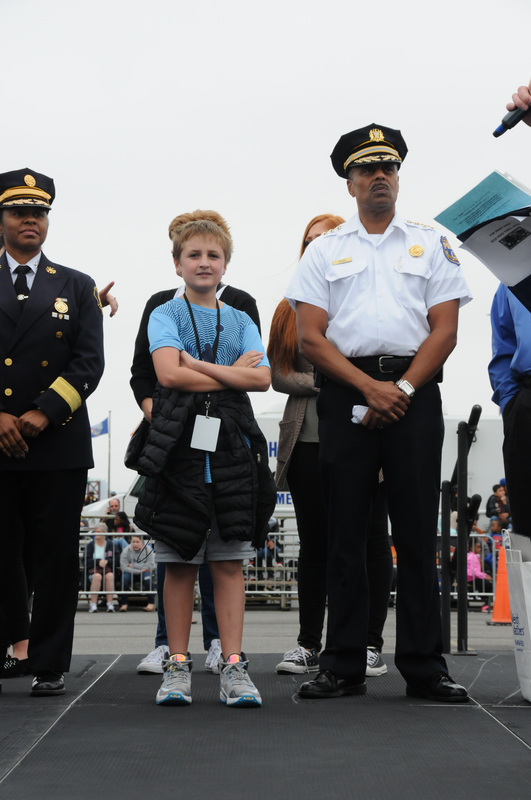 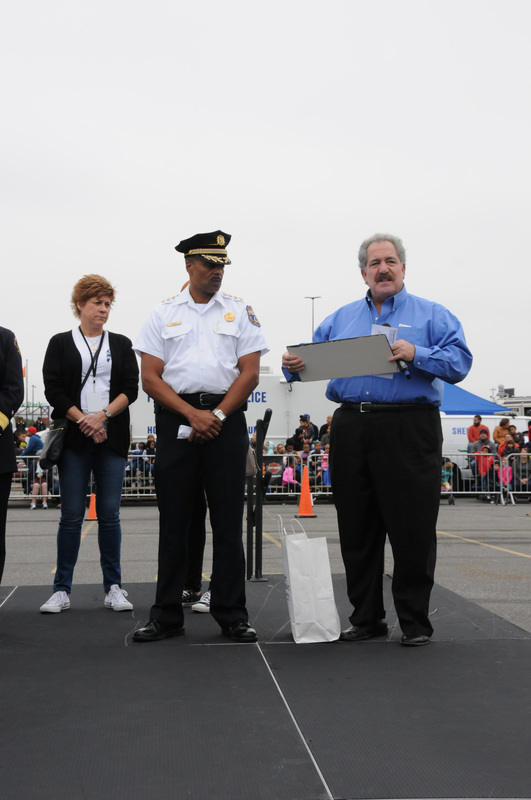 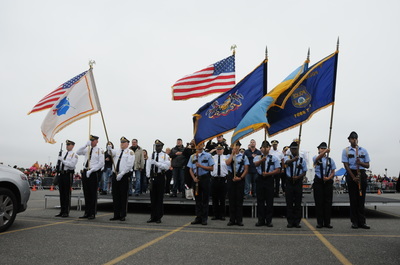 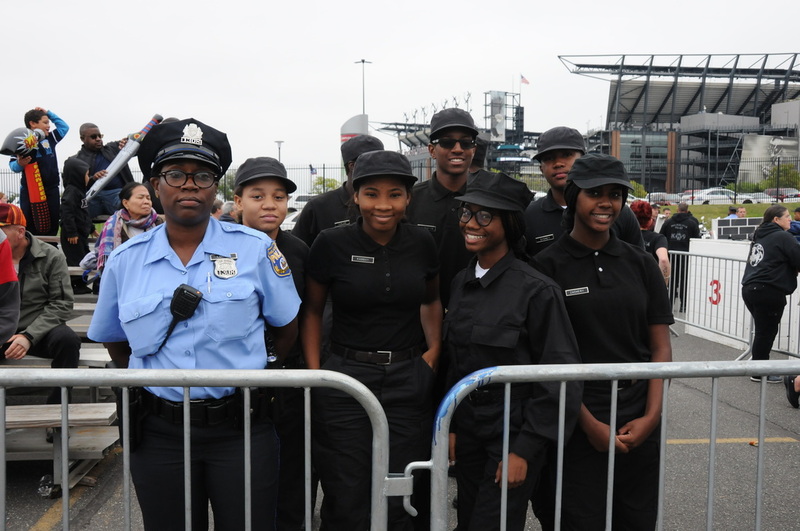 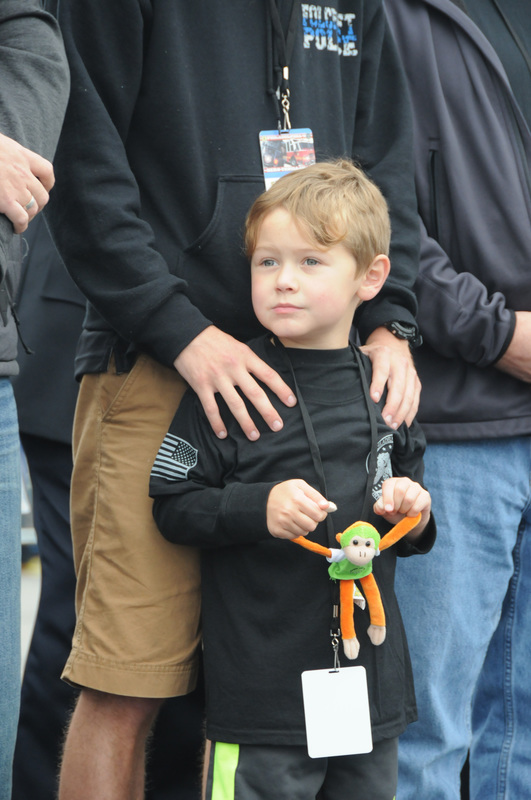 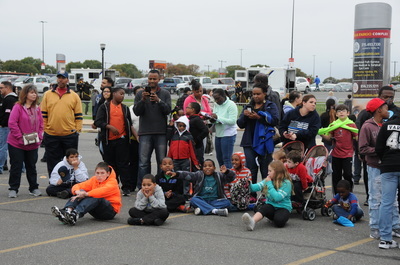 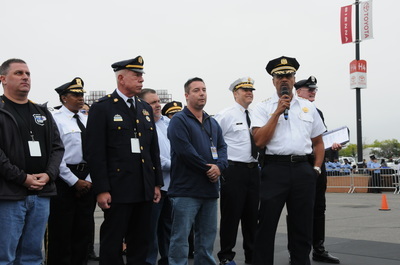 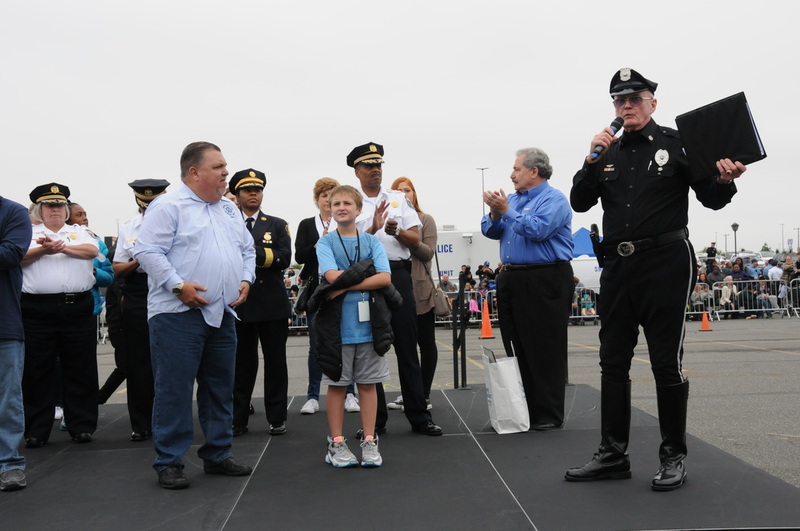 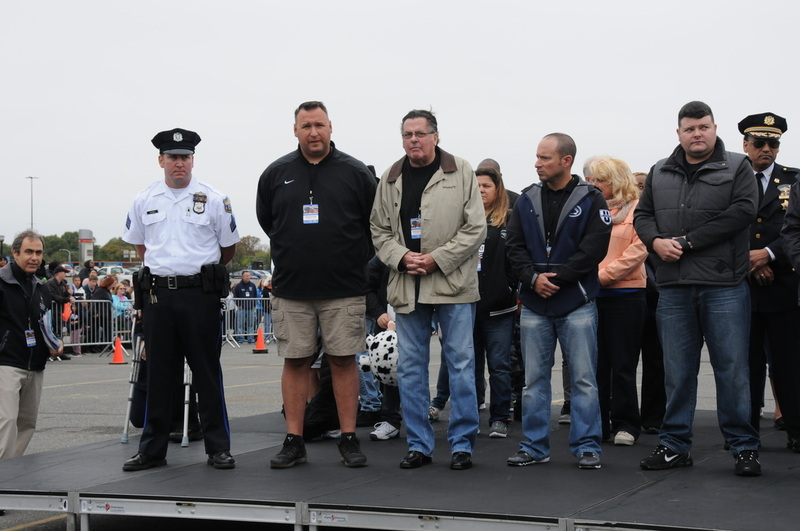 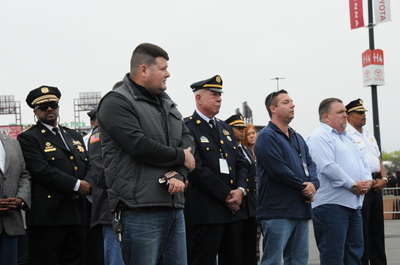 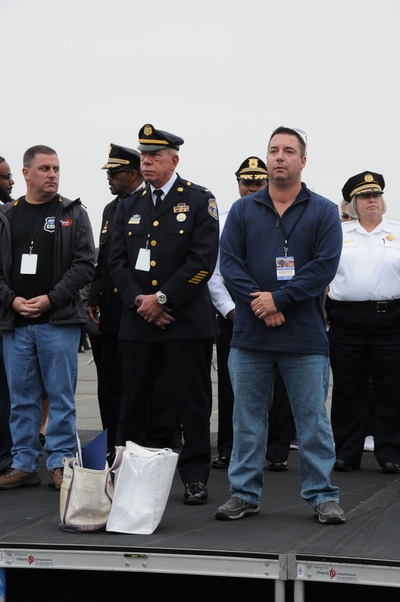 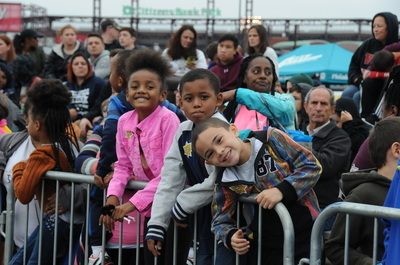 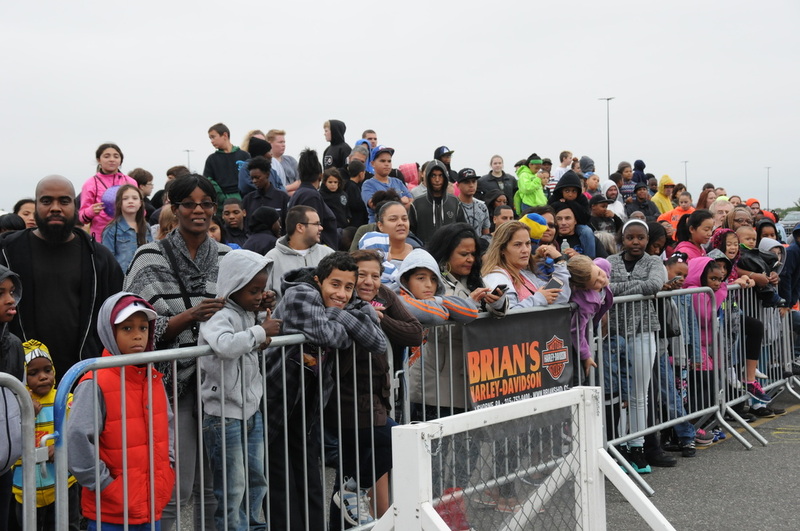 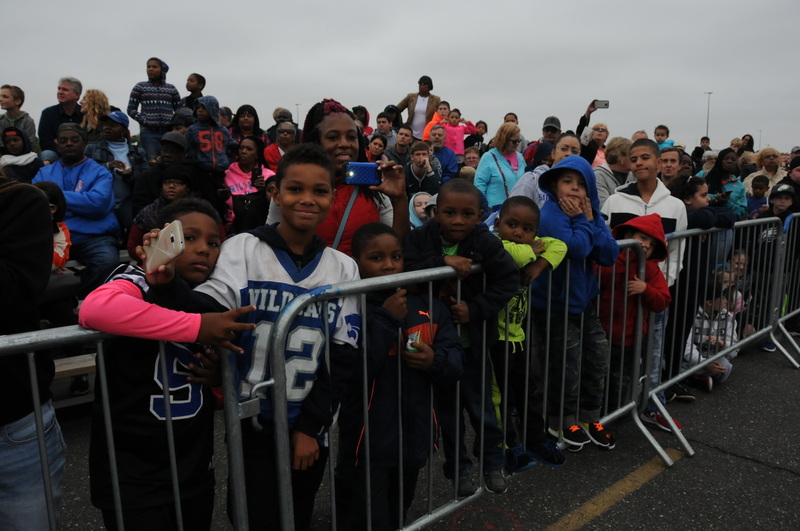 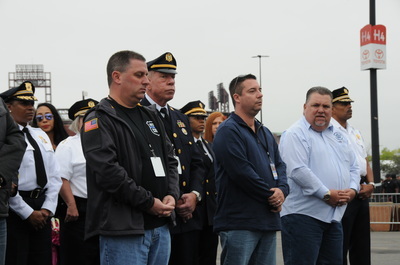 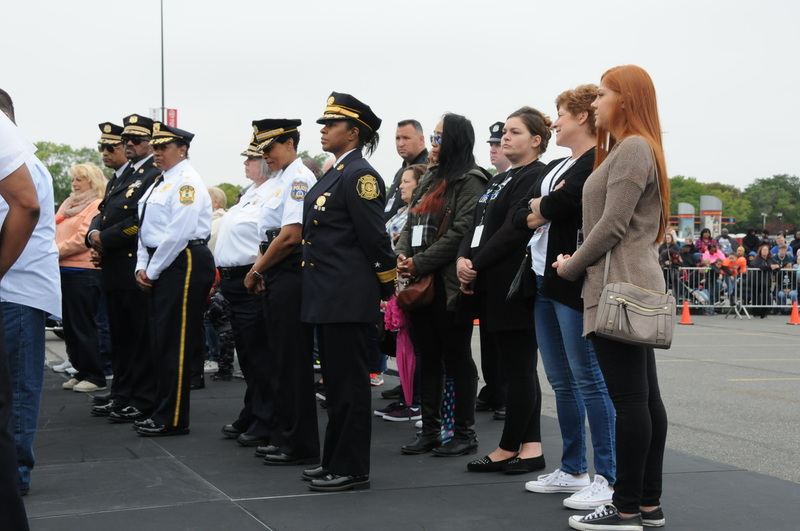 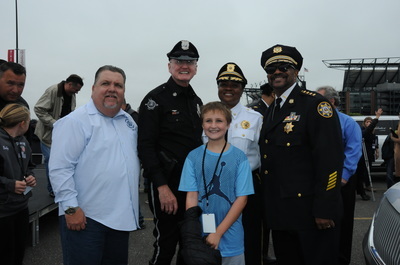 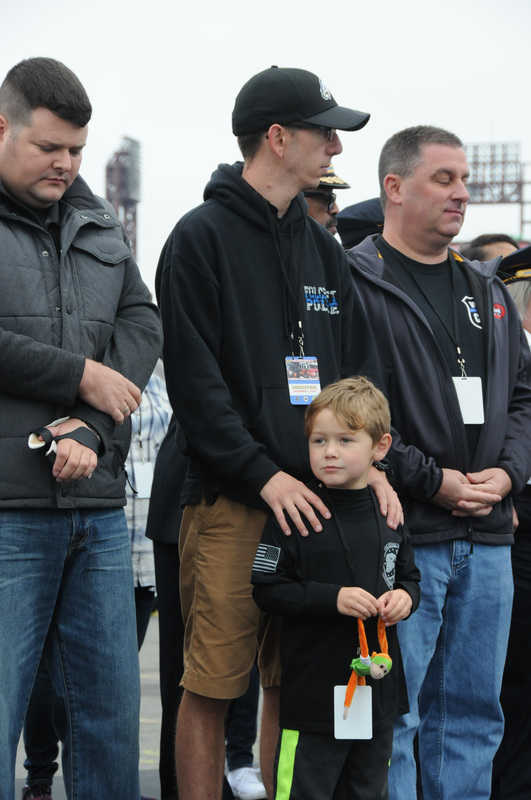 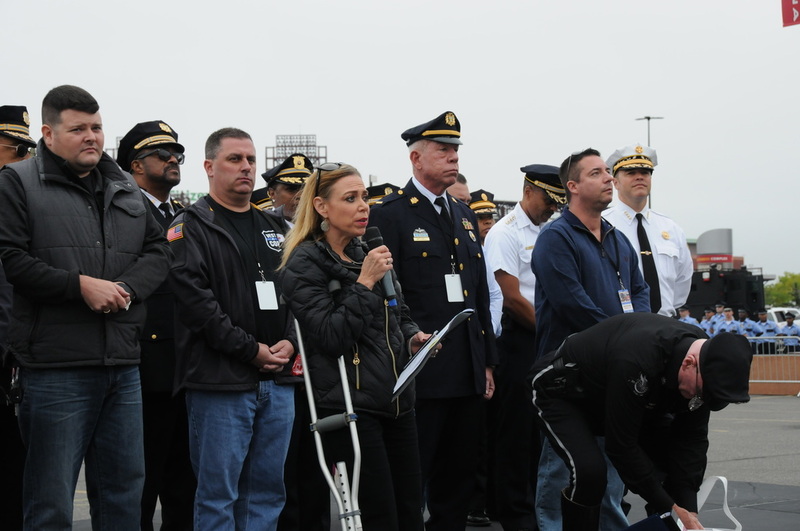 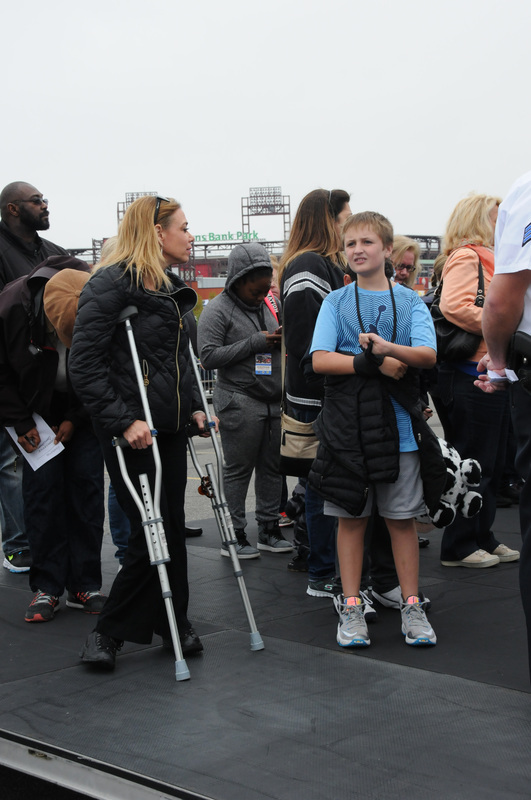 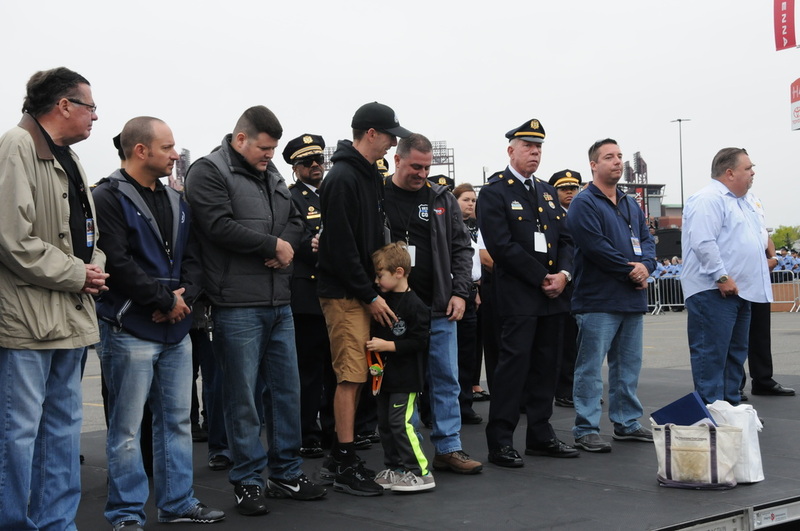 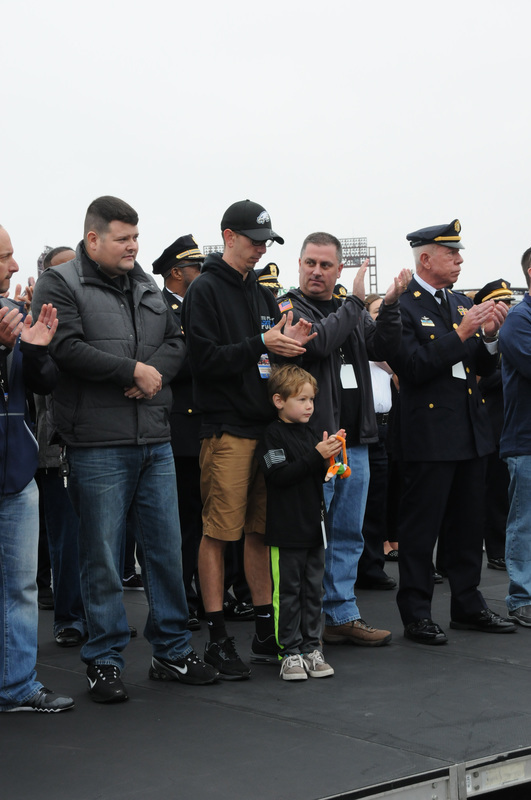 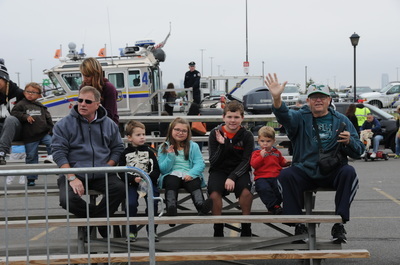 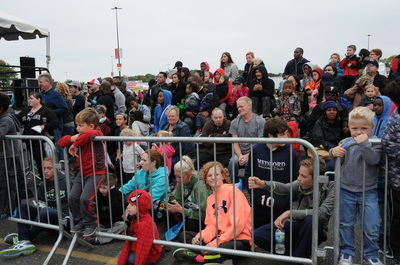 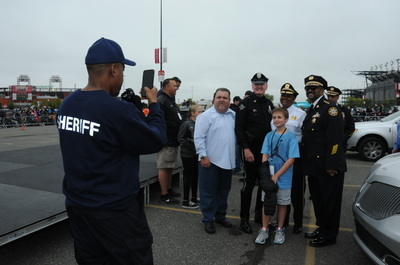 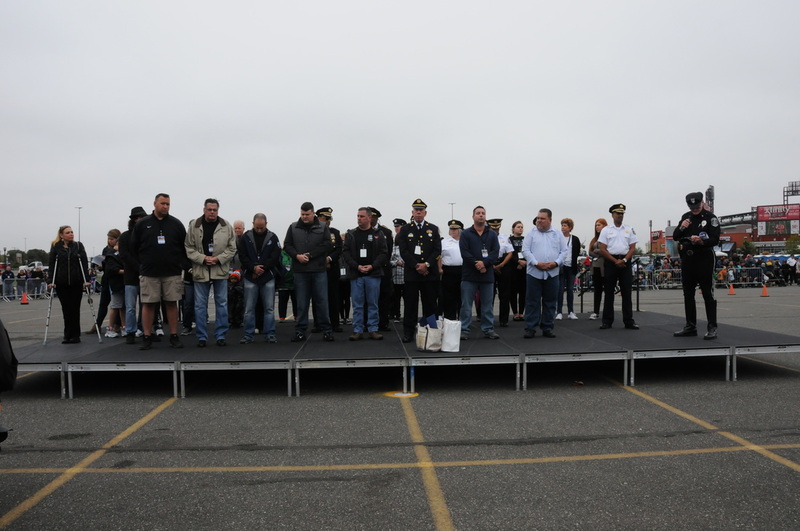 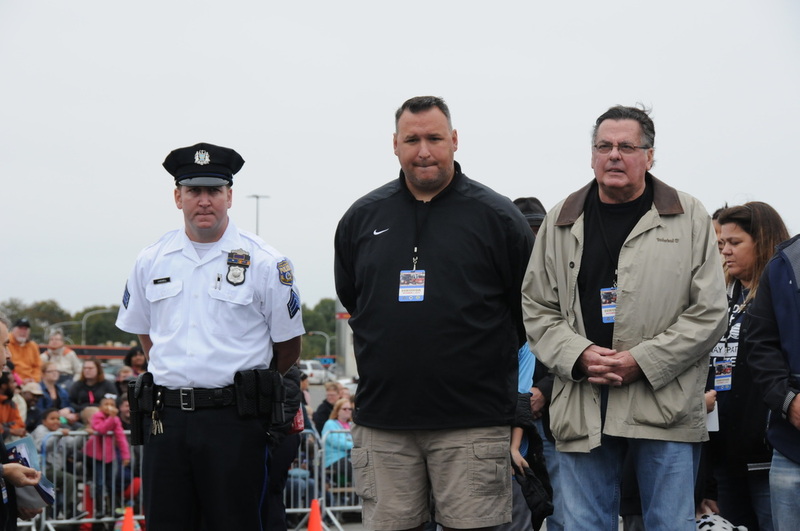 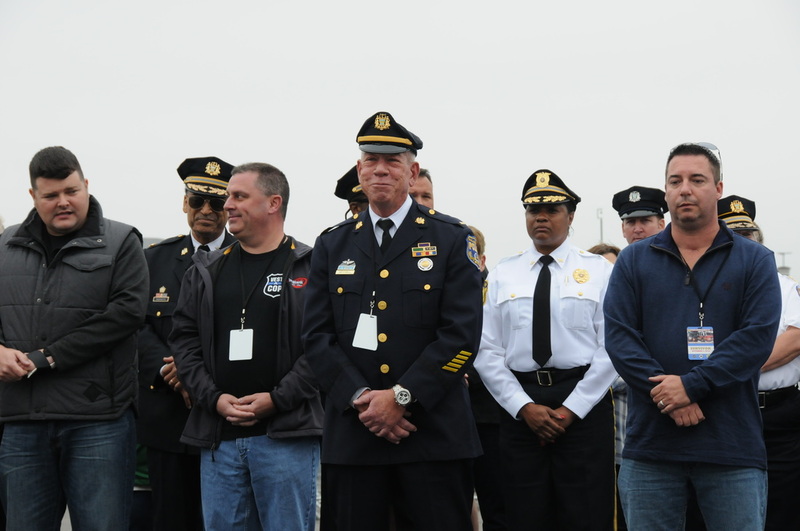 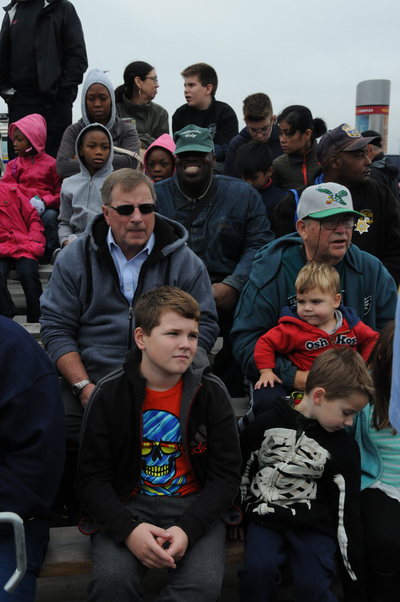 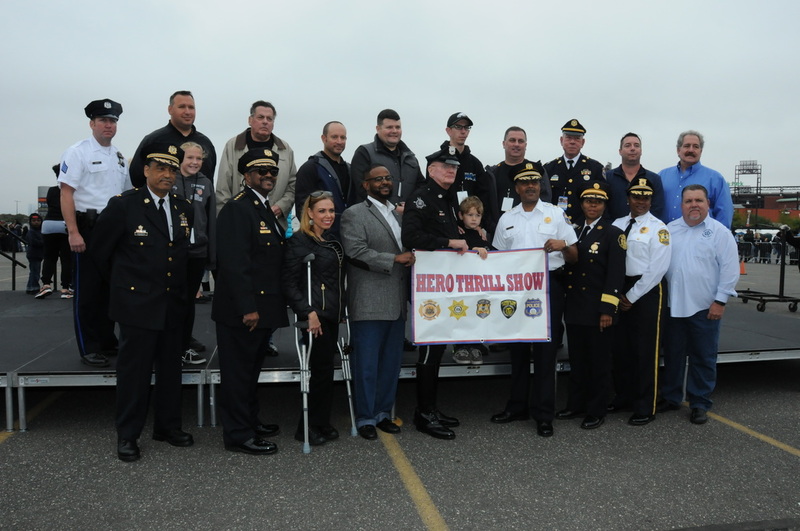 PHILADELPHIA, PA – (Monday, October 3, 2016) – It was a show of stellar support at the 62nd annual Hero Thrill Show®, on Saturday, October 1st at the Wells Fargo Center parking lot in South Philadelphia. 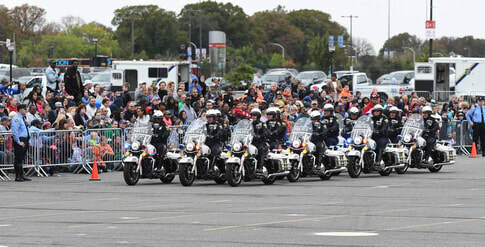 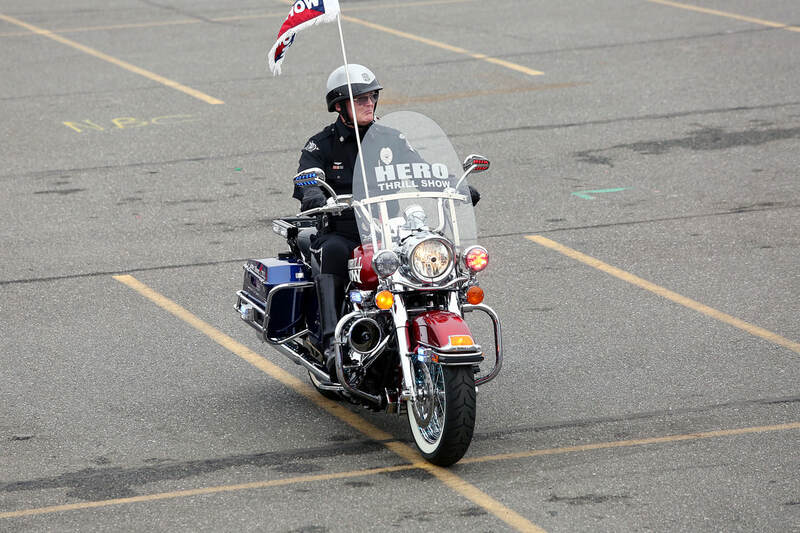 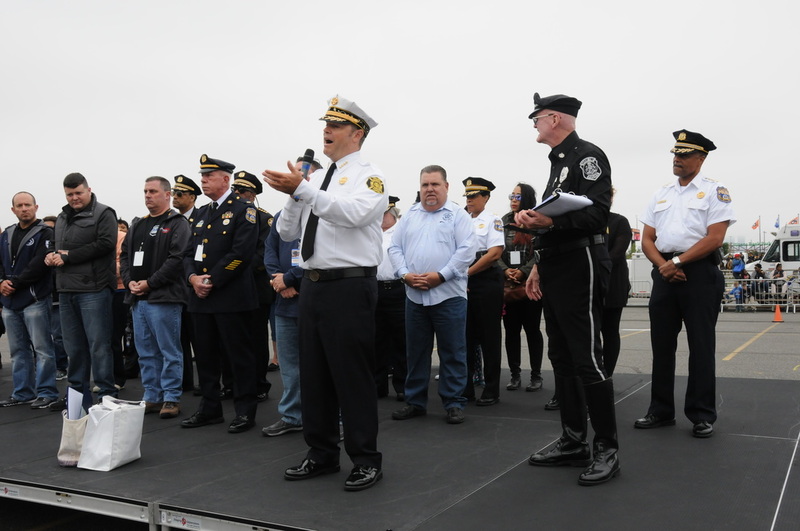 For the first time in the Hero Thrill Show’s glorious history, multiple Grand Marshals – all of whom were severely injured in the line of the duty – participated in this special day of tribute and tradition. 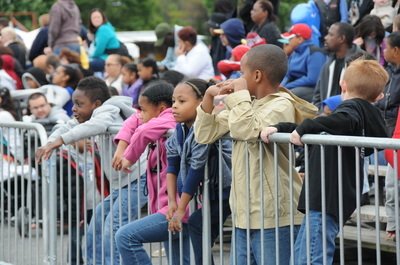 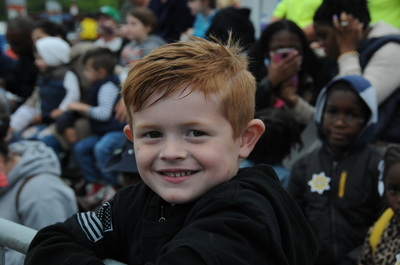 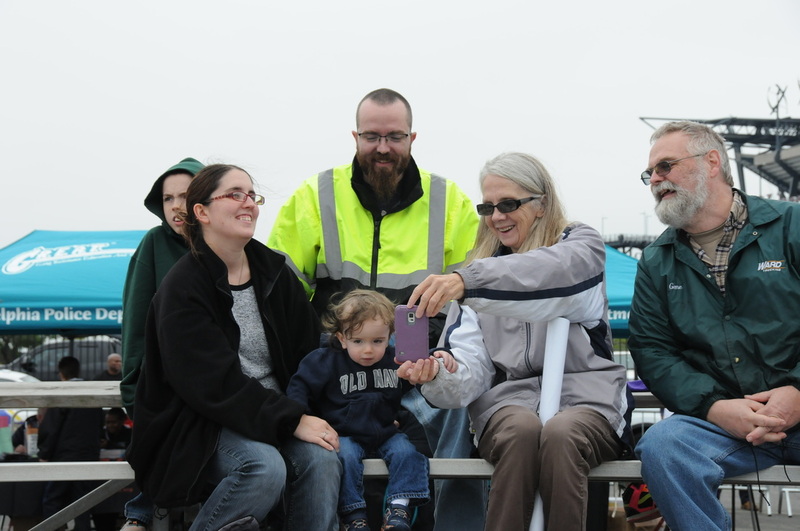 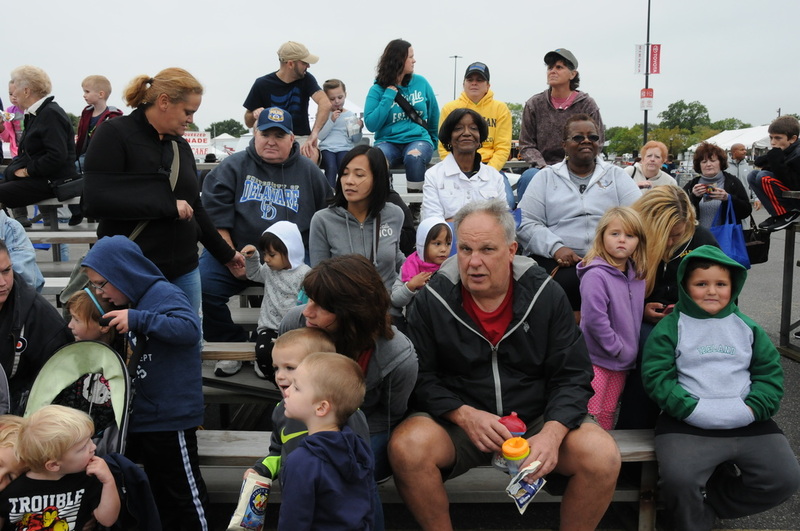 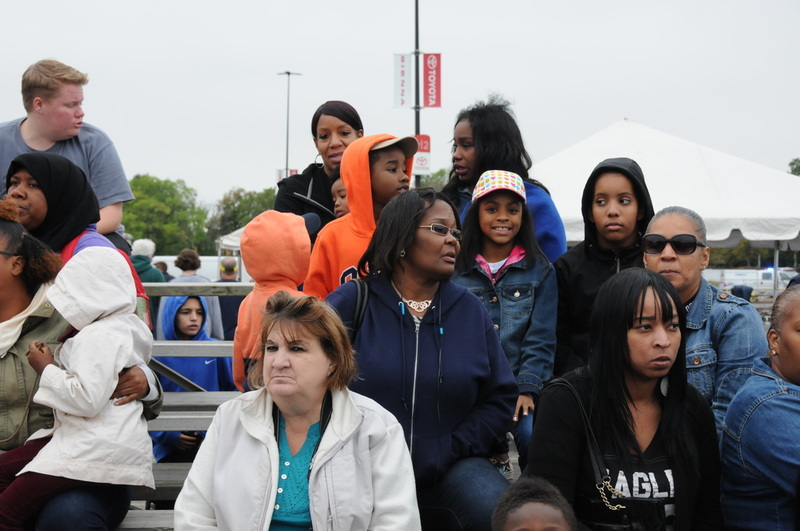 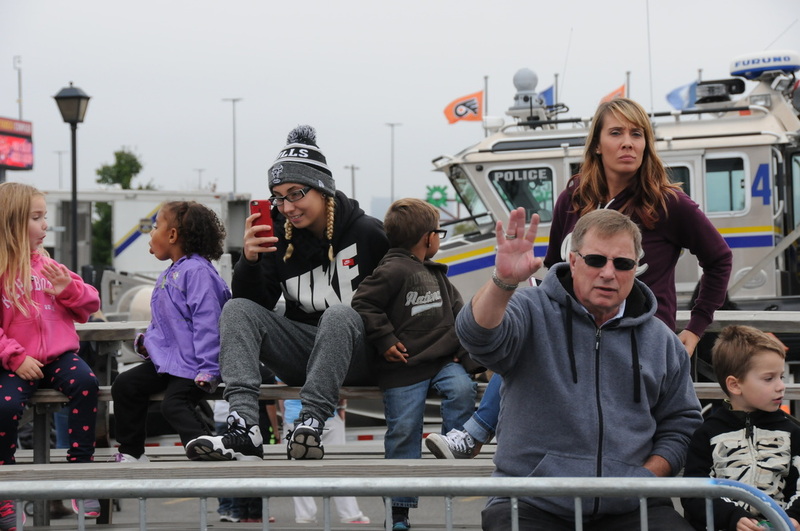 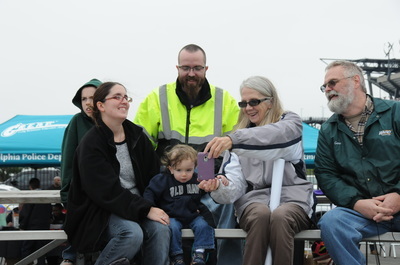 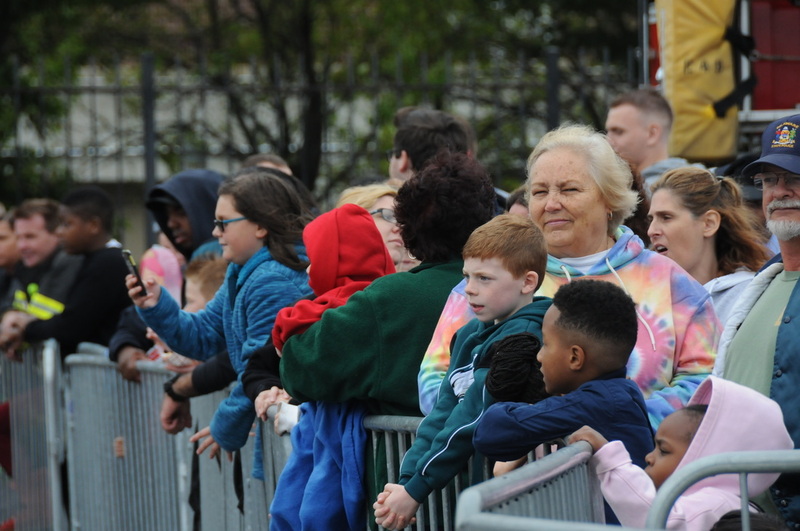 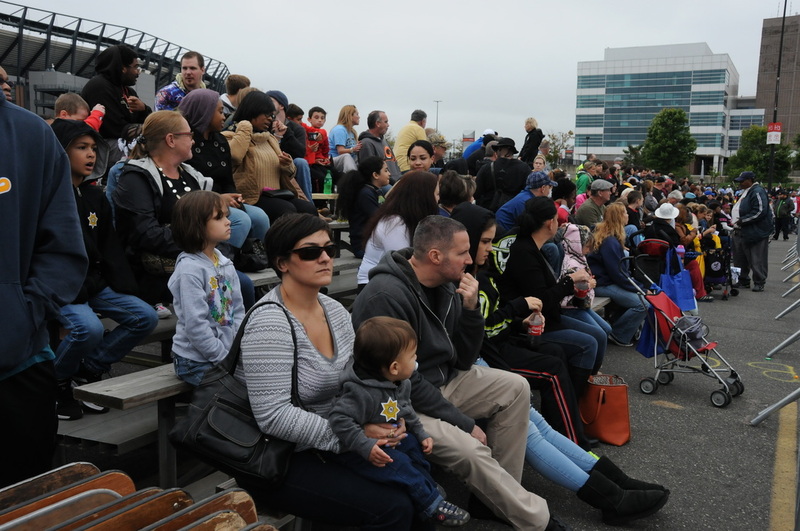 Nearly 15,000 enthusiastically attended the daylong festivities, despite overcast skies. 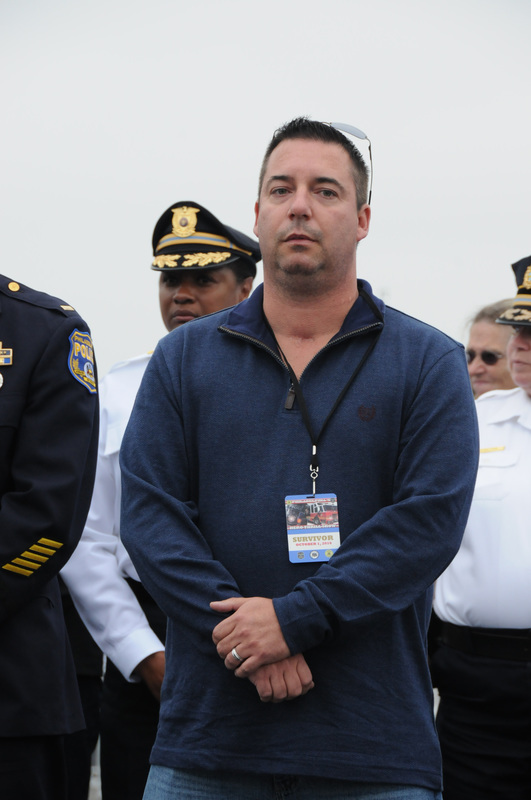 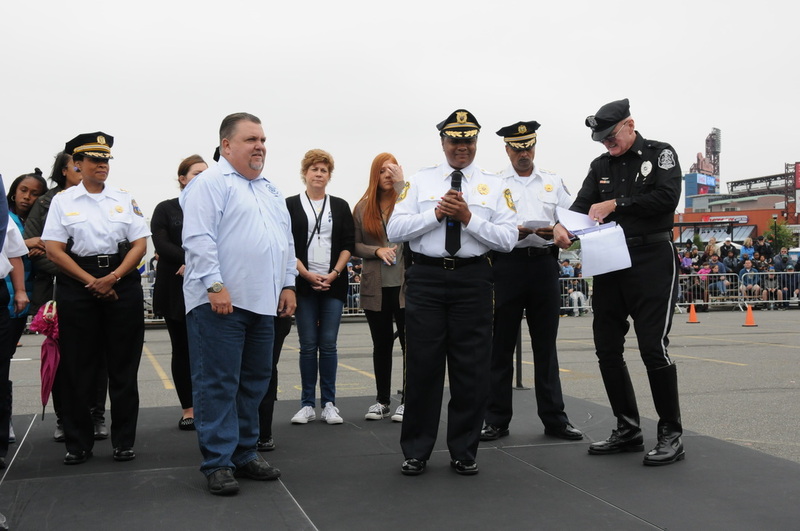 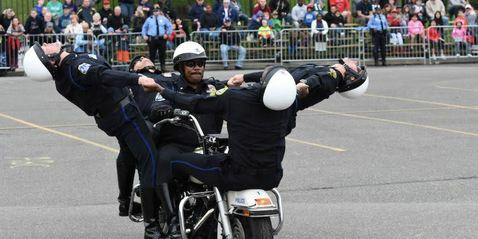 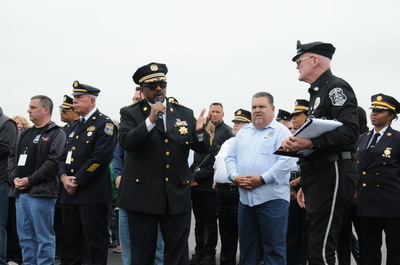 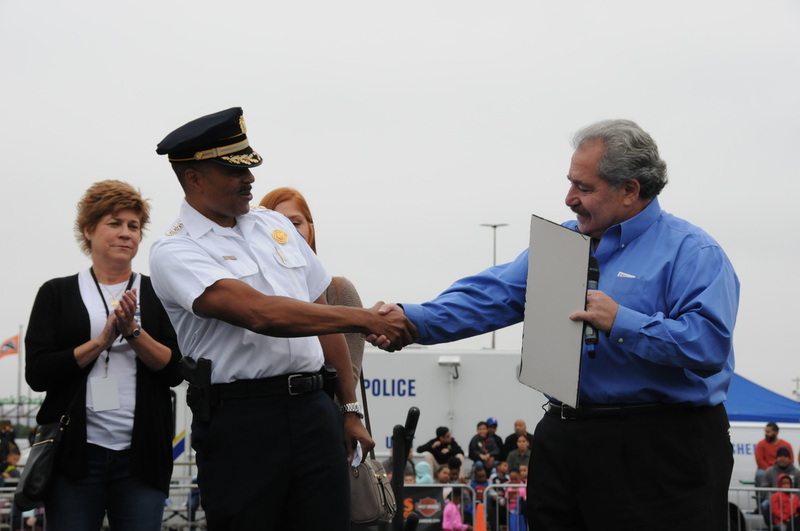 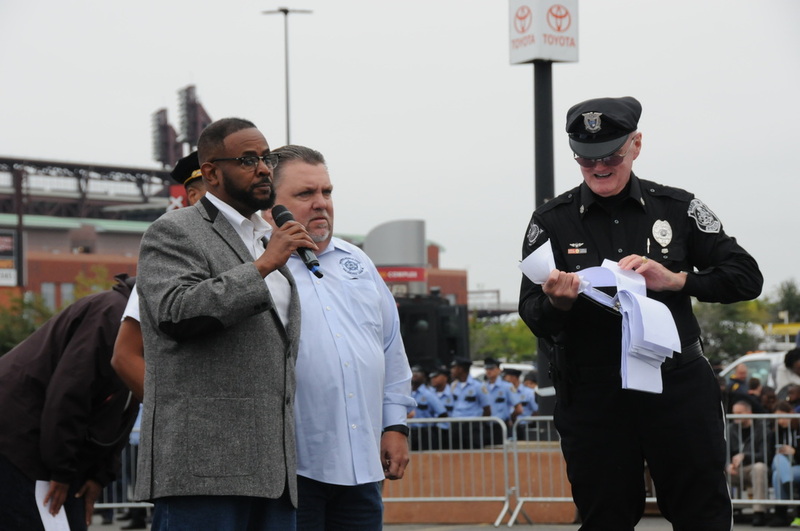 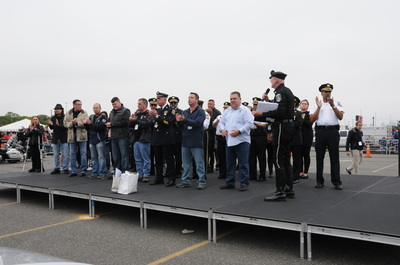 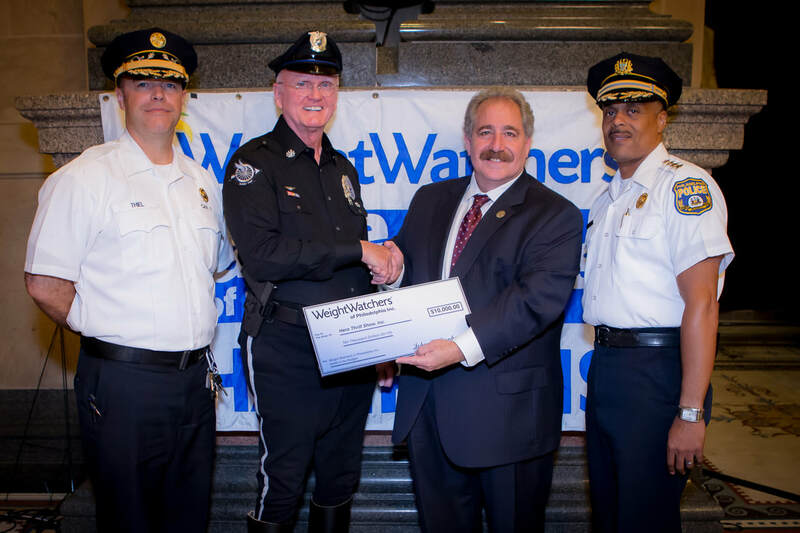 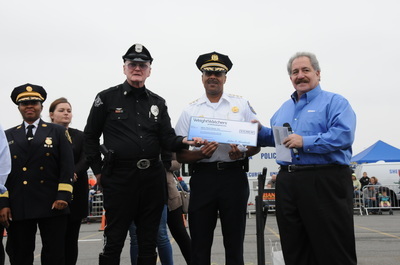 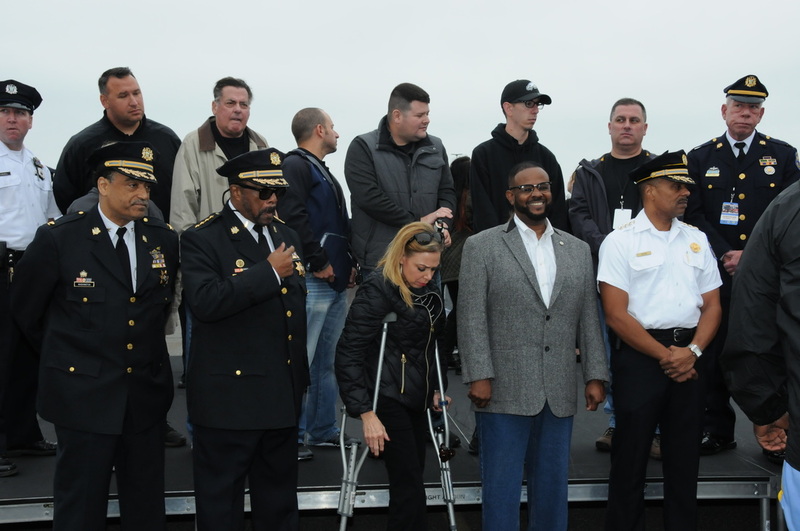 Weightwatchers donated $10,000.00 to the Hero Thrill Show® on behalf of the Philadelphia Police Department, winners of the Battle of The Badges. Pictured here are Fire Commissioner Adam Thiel, Hero Thrill Show® CEO James Binns, Weightwatchers CEO John Birnhak and Police Commissioner Richard Ross.